Its been 588 days since we last shared anything with you guys. At the time, we had no idea our last radio show, on April 20th, 2018 would actually be our last show. Since then, we’ve been working on expanding Vellum Wellness. What started off as a way to ‘stay moisturized between the joints’ turned into a complete wellness line, with products designed to unite your mind and body. The Vellum brand is heavily influenced from our time as Screen Girls and our late nights covering shows and interviewing artists. It was during our time shooting and editing for The Screen Girls that we discovered what wellness meant to us. It was tough with only two of us, going out every night to cover the latest rap shows and snag interviews. Each night, we fell asleep knowing that our sleep hygiene was suffering and our overall sense of well being was slipping away from us. So much of what inspired the Vellum brand was the journey of artists we met along the way as Screen Girls. Staying physically healthy on tour is a challenge, and with the current state of the world today, staying mentally healthy is even more challenging. We’ve long praised the benefits of cannabis sativa for both the mind and body, and it felt natural for us to include a form of this magical plant in our first formulated product – Elevate Hemp Hand Lotion. We’re so proud of this unique formula we created in conjunction with our team of experts, and even more proud to present our first full collection: Mental Essentials. 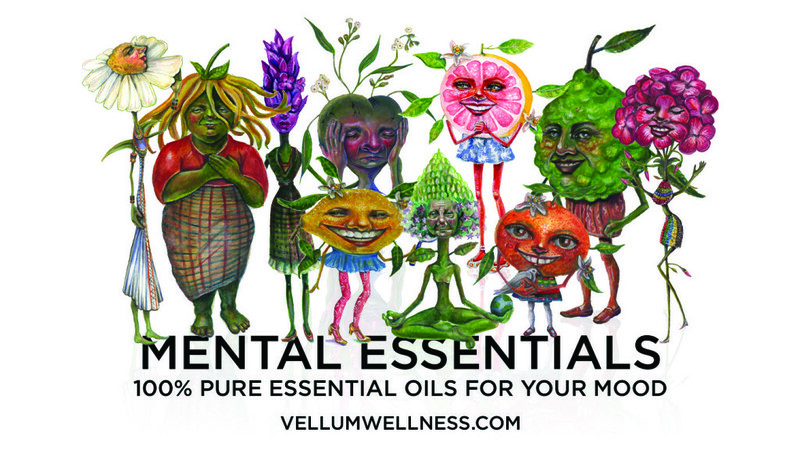 Mental Essentials is a collection of 100% pure essential oils designed to reflect your mood and emotions. 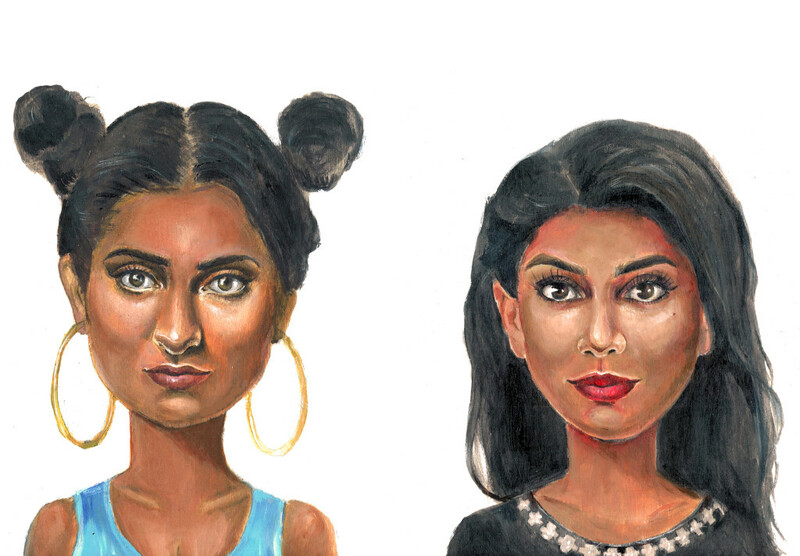 A strong appreciation of art is at the cornerstone of our brand values, so we worked with LA based artist MRBBABY and commissioned hand painted illustrations of the oils personified into characters. The idea is that when you inhale the oil, and reflect upon the artwork, your mind and body work together to explore the mood the oil is praised for. We found Lavender Oil to work wonders at restoring our night routines. Although our time at CiTR 107.9 fm has come to an end, we’re just getting started with Vellum and we’re so excited to share updates with you along the way. We’ll still be covering artists, but this time we’ll be focusing a little more on their self care processes, for all the latest updates, follow @vellumwellness on social media (Twitter, IG, FB) and check out the blog SMOKE + MiRRORS. While you’re at it, pick up some products to get started on your wellness journey and use the code TSG18 for 40% off your first purchase (code valid until December 31st, 2018). 9:15-19:59 It’s April 20th! We discuss the origins of the 4/20 holiday, the public perception of marijuana and the differences between marijuana and hemp. We’re especially interested in 420, as we’ve started experimenting with hemp as a natural moisturizer for our new project Vellum Wellness. We discuss the stereotypes against pot smokers, and how it’s important to stand up against stigma. 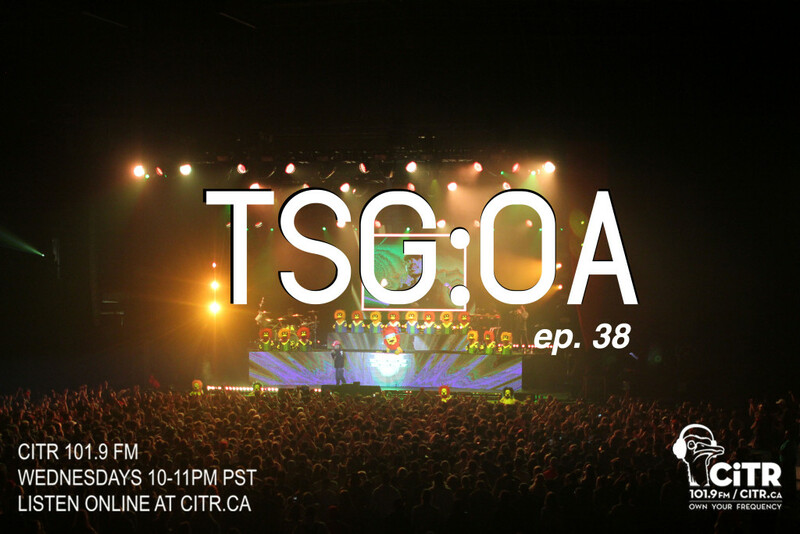 37:10-43:02 This is our first show of 2017, and we’ve been hard at work creating Vellum Wellness. We discuss how rappers inspired the line, our connection to hemp, and what’s next for us. 13:55-18:25 We caught Post Malone’s show, sponsored by Red Bull and we discuss how tours differ, when they’re sponsored by brands. 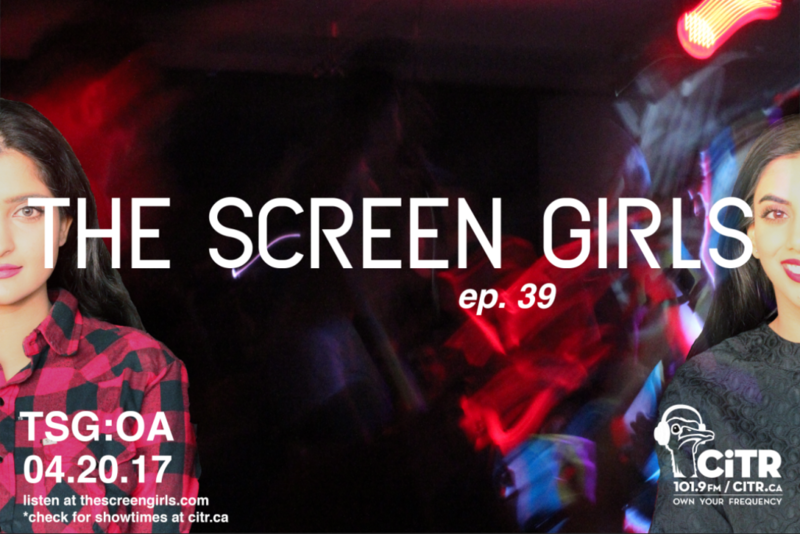 18:25-21:42 Majid Jordan has a predominantly female fanbase, and they were out in full force at their Vancouver stop. We review their show and try to decipher what makes them feel like boybands in the ’90s. 03:20-9:30 A$AP Ferg is one of the more popular members of the A$AP Mob, and his latest album “Always Strive and Prosper” was a nod to the group that was founded by deceased leader A$AP Yams. We attended Ferg’s concert a few days after the mob released Cozy Tapes: Vol. 1 Friends, and his show was definitely a high octane party. 9:35-14:55 A$AP Rocky is definitely a fashion rapper, who’s been embraced by high fashion, and who reciprocates by dropping brand after brand into his raps. We delve into the history of high fashion and rap, and the artists who paved the way for Rocky and the like. We also discuss whether this is a fad, or here to stay. 21:00-We discuss Tommy Genesis’s appeal as a fashion rapper. She’s just come off of a Calvin Klein campaign, as well as appearing in Teen Vogue and in Carine Roitfield’s fashion book. This is the age of the SoundCloud rapper, where uploading a track to the internet, can bring you the same clout as being signed. 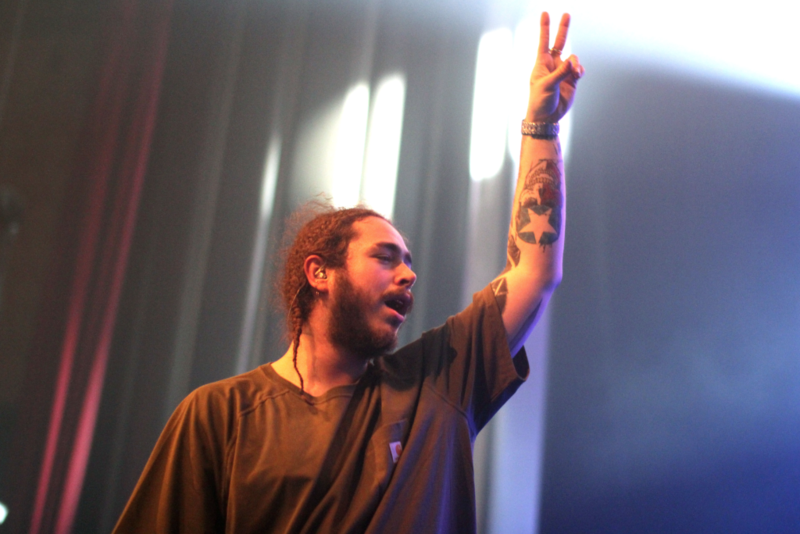 One of the most famous acts to blow up off of the platform is POST MALONE, whose breakout hit White Iverson in 2014, was an anthem for people on the come up. Moves since have been colossal, with a feature on Kanye West’s Life of Pablo, and opening for Justin Bieber in stadiums across North America. We caught his performance in Vancouver, and he was decidedly more sweet natured, than his music suggests. 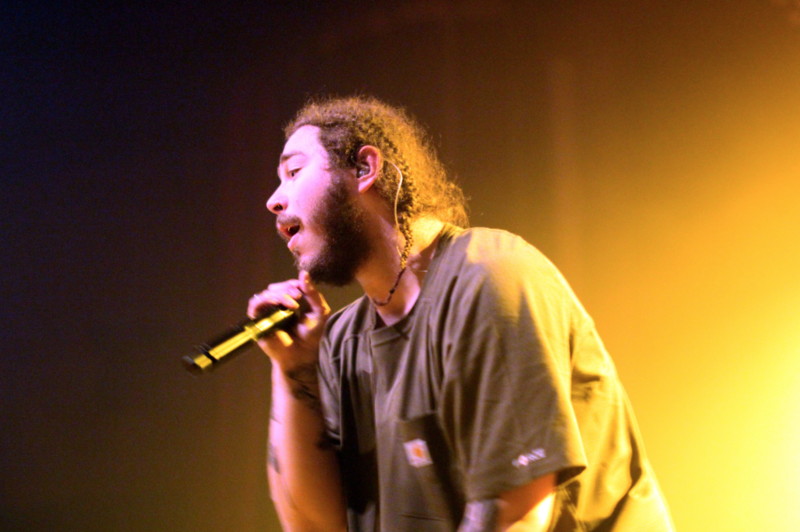 Post Malone strode onstage, dressed in an oversized, down to his knees t-shirt, hair in braids and a gold grill in his mouth His whole persona is a throwback to Southern rappers at the start of the millennium. Before he started the beginning few lines of White Iverson, he gave the first of many, big, wide, cheesy smiles. 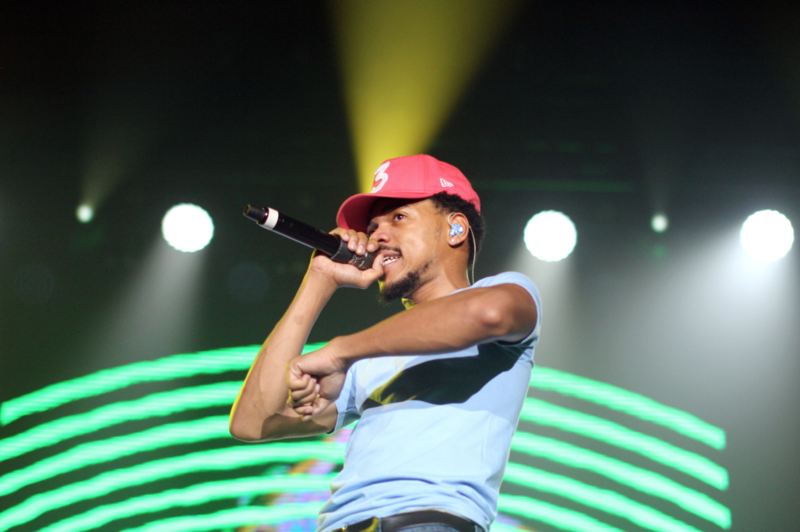 The audience often mimics the artist, and the crowd was filled with white boys in braids, which is somewhat uncomfortable, as cries of appropriation are never far, when it comes to white rappers. Post held his own, as White Iverson was played twice, both to raucous applause and cheers, and he just seemed to be having such a good time up on stage, it was a contagious feeling. 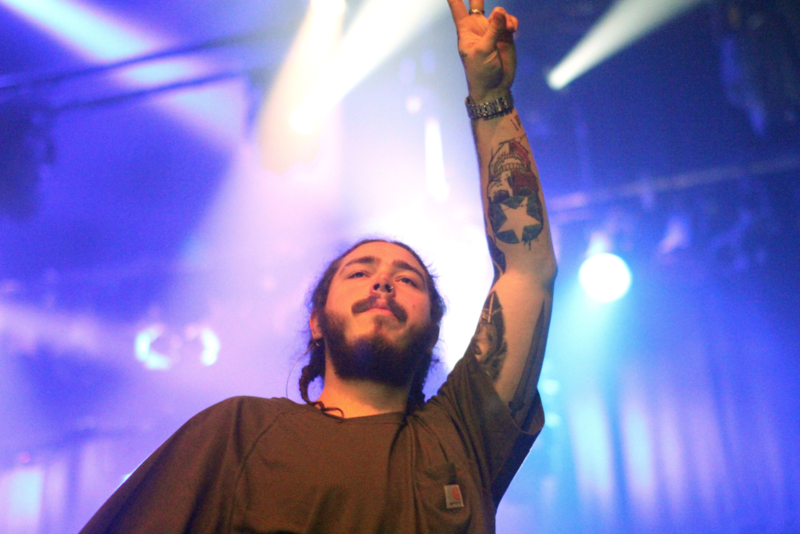 Post Malone is gearing up to release his first album, the aptly titled STONEY, on December 9th. With features from Justin Bieber, Kehlani, 2Chainz and Quavo, the album has some sturdy star power, which isn’t necessarily seen on too many debut efforts. Post has shown that he’s far beyond conventionality. This album will either propel him past the “one hit wonder” stage, or keep him trapped there until he can prove himself. Whatever the outcome, Post is out there, connecting with fans and having a good time doing so, if his performance in Vancouver is any indication. 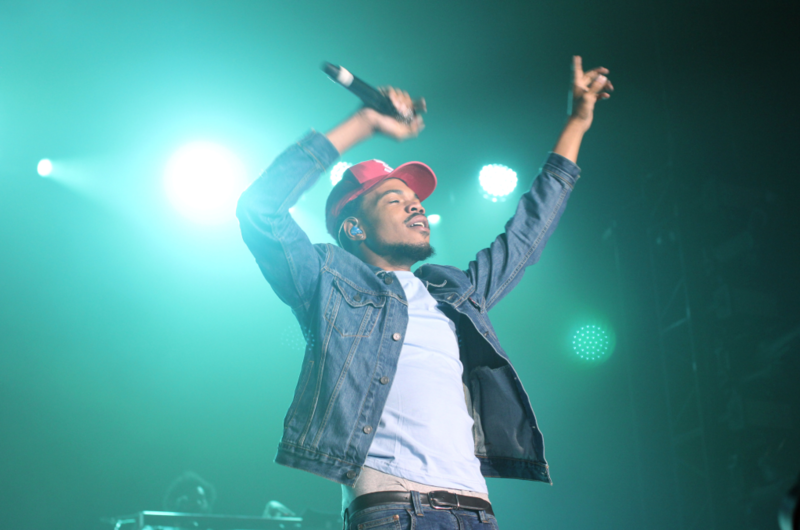 In 2016, Chance the Rapper has: performed at major festivals like Bonnaroo, and Made in America, thrown his own Magnificent Coloring Day festival in Chicago, landed a global ad campaign with Kenzo X H&M, and petitioned the Grammy awards to include streaming only music. This would be a monumental year for any artist, but it’s historic for an artist that has remained independent. 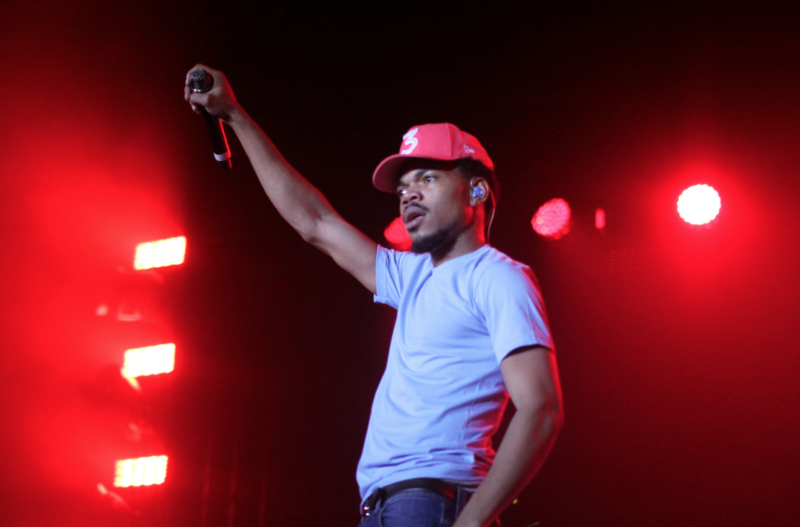 “Are you ready for your blessing!” is how Chance begins his show, telling more so than asking his audience. Receiving blessings was the them of the night, as Chance recounted his own torrid path before he reached his own blessing. All the talk of blessings, newfound redemption and higher powers gave him the feel of a preacher at his pulpit, and his message wasn’t lost on the sold out crowd in Vancouver. Chance the Rapper’s concert felt like an off Broadway revival of Avenue Q, as he was joined onstage by puppets that bantered, flirted, danced, and sang with him on stage. His inclusion of the characters in his live show was a nod to the childlike innocence and optimism in his raps – optimism that is very needed in hip hop right now.